Our plumbers excel at work well done! Mecanergie offers complete plumbing services in Montreal. Our plumbers are trained to act quickly and effectively on your installations, whether within a commercial space, an industrial building, or your own home. You are looking for experts in commercial plumbing. Look no further! Call as of now Mecanergie. Personalized service and consideration for our clients are at the heart of our profession. 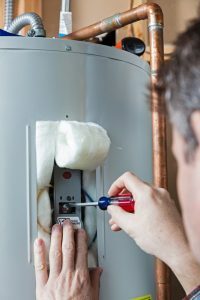 Air conditioning and ventilation, plumbing, and heating: from installations to regular maintenance, our team of Montreal plumbers is here to answer your needs. We bring our expertise to all your plumbing works such as bathroom renovation projects, piping or fittings as well as installation of new sanitary or heating system. We have an emergency plumbing service available 24/7 for situations requiring immediate attention (Eg: leaking water, unclogging pipes). Mecanergie puts the utmost effort into offering you the best plumbing service in Montreal and the surrounding area. To make an appointment with one of our plumbers or to get more information, contact us! 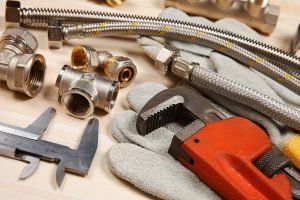 Founded in 1979, Mecanergie plumbing company has earned an excellent reputation for its work and the personal service it provides customers throughout the Greater Montreal. Mecanergie’s certified technicians are trained to repair all kinds of heating, ventilation, air-conditioning and plumbing systems. They also install and maintain systems on commercial sites, in industrial buildings, and private residences.